The project of the Waste Recycling Cluster gave way to creating a competence centre in Estonia, which helps companies implement modern waste policy. The innovations are extensive – for example, partners of the cluster use waste fuel instead of fossil fuel to produce cement. The Estonian Waste Recycling Competence Centre (MTÜ EJKL Kompetentsikeskus), which is a non-profit association that grew out of the project, connects the largest companies in Estonia who deal with recycling waste, coordinates and develops the reuse of waste and the manufacturing of products from waste. In 2013, the Estonian Waste Recycling Competence Centre submitted an application to EAS to receive funding from the cluster measure. 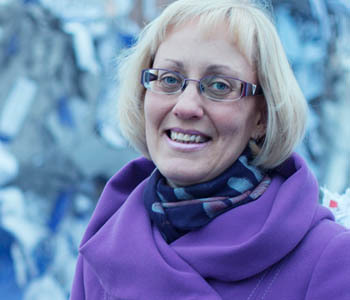 According to Margit Rüütelmann, the Project Manager of the Estonian Waste Recycling Competence Centre, a total of 22 companies (most of them active in the field of waste management, construction, or energy, but also organisations of development and research) participated in the cluster project of developing the field of waste management. During the past decade, Estonian waste management has undergone a lot of changes, which have been results of European Union legislation as well as the general environmental policy of Estonia. The main goal of waste policy is to produce less waste and recycle it. The grant for developing clusters is financed by the European Regional Development Fund.